Raw Story reports that House Minority Leader John Boehner (R-OH) opposes a hate crimes bill in Congress that would help protect against gay bashing because he believes homosexuality is not an innate characteristic. First, it is extraordinarily rare to find one who claims to have changed his or her sexual orientation who is not on the payroll of an anti-gay organization. Second, millions of people change religions every day. For example, a born again Christian or convert has newly embraced the Christian faith. 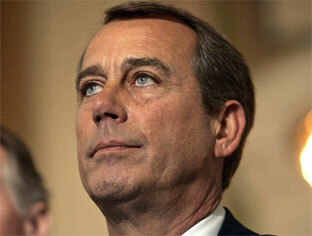 Of course, Boehner’s position is as illogical as his obvious prejudice against GLBT people. I strongly suggest Boehner watch a recent gay bashing in Queens and then reconsider his vacuous position.